Jyotish Sudhakar PremJee is a renowned astrologer with over forty five years of experience. He is known for his accurate and precise predictions. He passed his Pundit course from College of Astrology, Bangalore and Jyotish Visharad in K.P. system. He has earned Mastery in Colour Therapy and remedial measures. He has studied occultism in-depth in many languages. In fact, he got the opportunity to meet some great occultists & Yogis in his life. 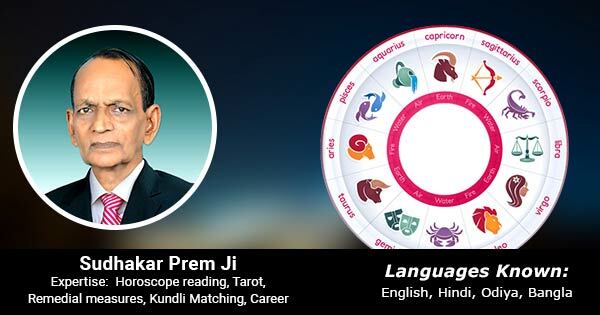 His specializations are in reading horoscopes, providing remedial measures on various issues of life, kundli matching. He is also an expert in Reiki and Hypnosis. Many persons and establishments have taken benefit from his expert consultancy.